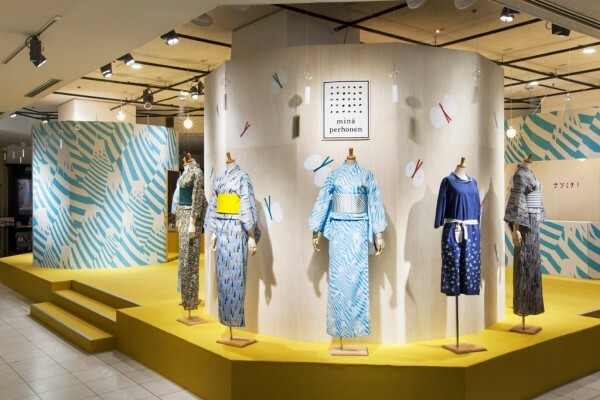 WORKS / minä perhonen "natsuminä"
This fifth installment is themed “Natsumina” (the meaning of natsu is ‘summer’ in Japanese), and since the main feature is the yukata (a summer kimono) in 10 different fabric patterns, we arranged the dressed mannequins around the central booth. 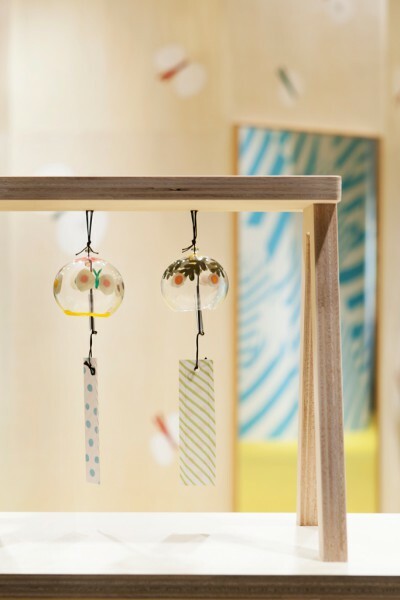 We also hung light bulbs and wind chimes to project the image of a lively summer festival. 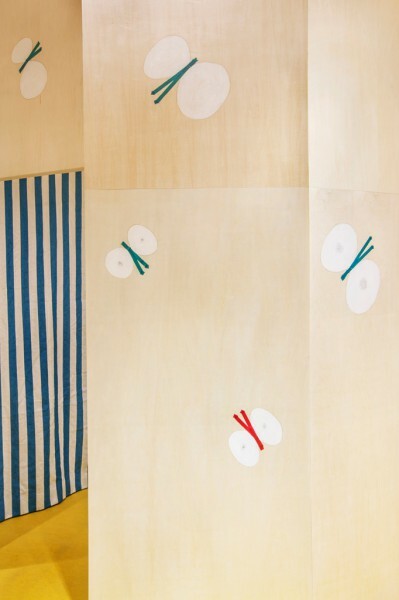 We covered the booths built around the pillars on each side of the space with minä perhonen’s “fujisans” textile pattern. 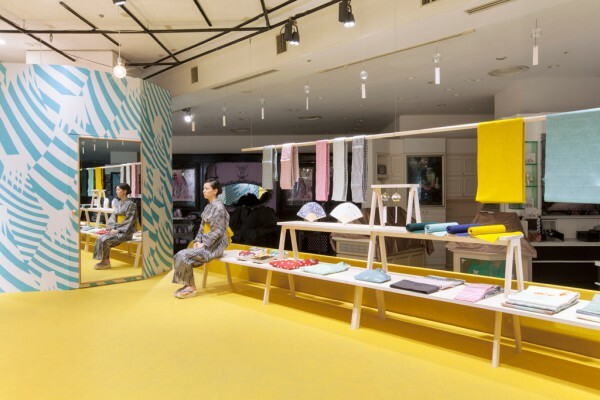 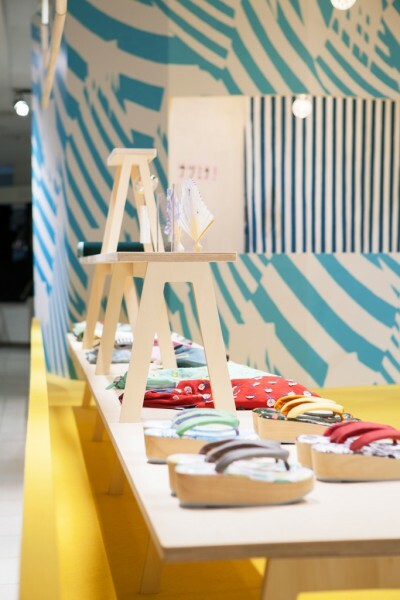 Small products are displayed on shelves created from stacking benches of different scales, which also functions as seating for trying on the geta (Japanese wooden clogs). 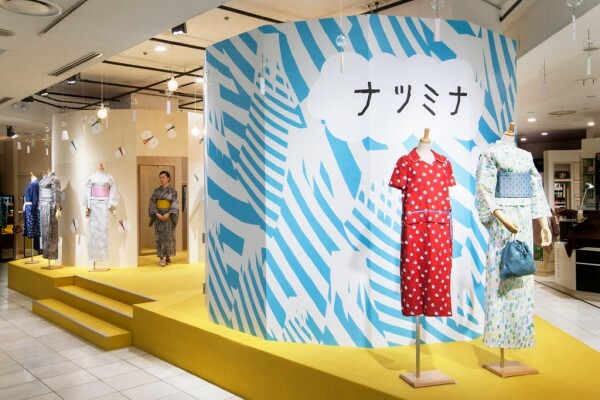 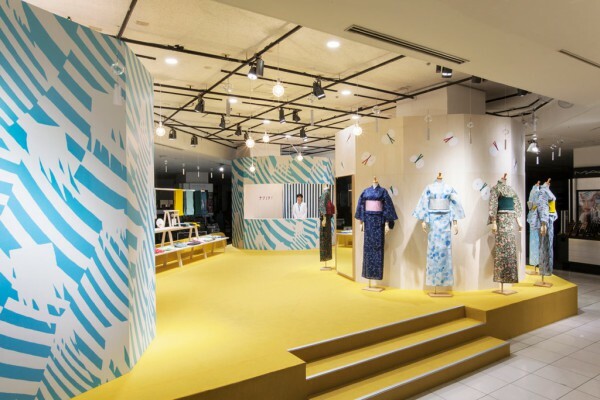 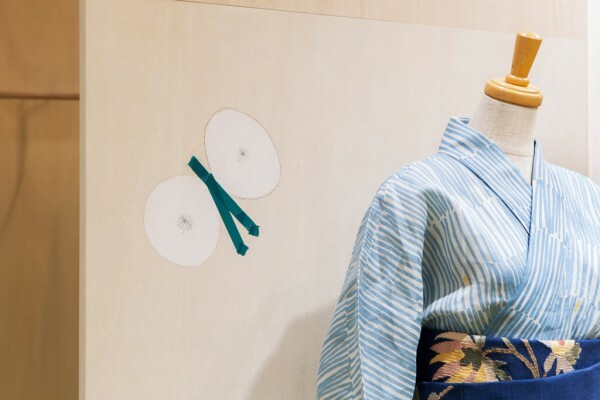 During the day of construction, Mr. Minagawa, founder of minä perhonen, made hand drawings of the “choucho”, butterflies that are symbolic to the brand in the exhibition space. 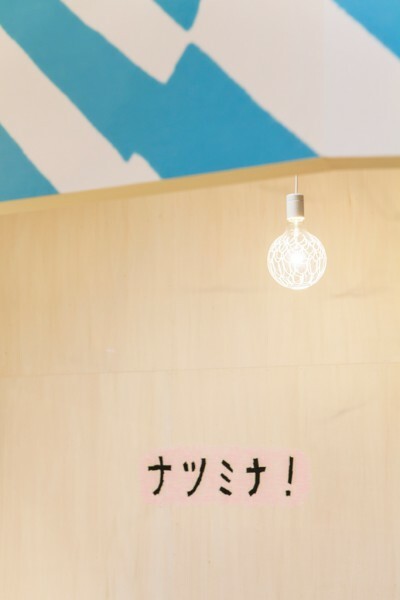 He also drew the exhibition’s title on the booths as well as patterns on the light bulbs. 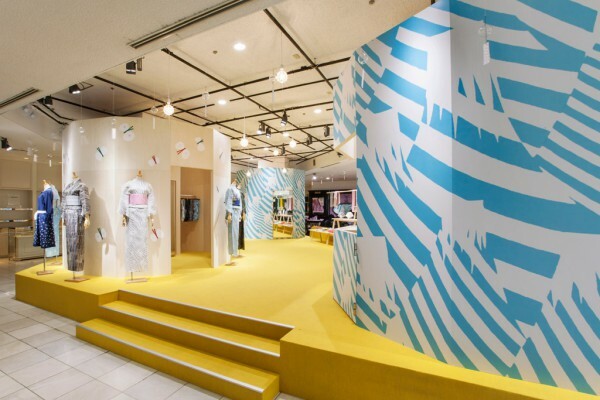 These graphics accent the space, and tell us of the importance of working with hands, which is the brand’s image.